He studied Law at Murcia University (1960-1965) and obtained the degree of Doctor in Law with a Premio Extraordinario (Doctorate Extraordinary Prize) in 1972. Likewise, and in the same University, he received the degree of History, which he finished in 1970; also he deserved the Premio Extraordinario (Degree Extraordinary Prize). In 1971, he received the Premio Nacional Fin de Carrera (End-of-Degree National Prize) in the specialty of History, and in the same year, obtained the Premio Nacional Luis Vives (Luis Vives National Prize) awarded by the Consejo Superior de Investigaciones Científicas (Higher Council of Scientific Research). He was decorated for his academic merits with the Cruz de la Orden de Alfonso X el Sabio (Cross of the Order of Alfonso 10th the Wise) in the said year 1971. In the academic context, he taught History of Spanish Law at Murcia University’s Law Faculty as a Junior Lecturer under the direction of Professor Joaquín Cerdá Ruiz-Funes (1966-1971). He later completed his training with Professor Alfonso García Gallo as an Assistant Lecturer in History of Law at the Faculty of Law in the Complutense University of Madrid (1971-1974). After obtaining the post of Senior Lecturer in Seville University’s Law Faculty (1974), he moved to Murcia keeping the same academic condition (1974-1979). He finally acceded to the Chair of History of Law at La Laguna University’s Law Faculty (1979-1980) and later moved to Alicante, where he has stayed since the 1980-81 academic year. He has been acting Dean of the Law Faculty and has been the Head of the Historical and Legal Sciences Department of the same Faculty for over fifteen years. In the course of his career he usually has given History of Law in the Grade of Law and in PhD courses in the Faculties of Law in which he attended. He also taught Academic lessons, monographic courses, master degrees and seminars in Spanish universities as well as in foreigner ones. He also has given different conference papers and commentaries about his current research interest. His main research line interest has focused on the study of territorial and local institutions of the Low Middle and Modern Ages. In the specific context of the Crown of Castille, he has paid special attention to local institutions. The same can be said about his studies on the territorial and local institutions in the Kingdom of Valencia, specially General Courts. A second research line interest has focused on Indiano Law institutions. Among his works on this field stand out those referring to various aspects of Audiencias (Indiano Courts). He has also studied other administrative, procedural and criminal law institutions. Finally, and in addition to these two main thematic areas, it must be mentioned a scattered bibliographical production on the historical context of Spanish Private and Procedural Law. Most of these research trends had been supported by a scholar awards and subsidized research projects. As a result of these researches he published the results as a books, book chapters, and articles. He obtained as well a considerable amount of scientific materials for his lectures and papers, presented on Summit, Conference and Symposium. 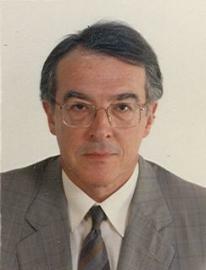 Prof. Bermúdez is member of several Academical Institutions and Editorial Boards of Scientific Reviews. The 19-07-2012 was elected President of the Instituto Internacional de Historia del Derecho Indiano.